From April 7th we will be running a series of one-day giveaways on our website and Facebook page. All you need to do is find that day's hidden Easter Egg on our website, click on the image and then like and comment for your chance to win! 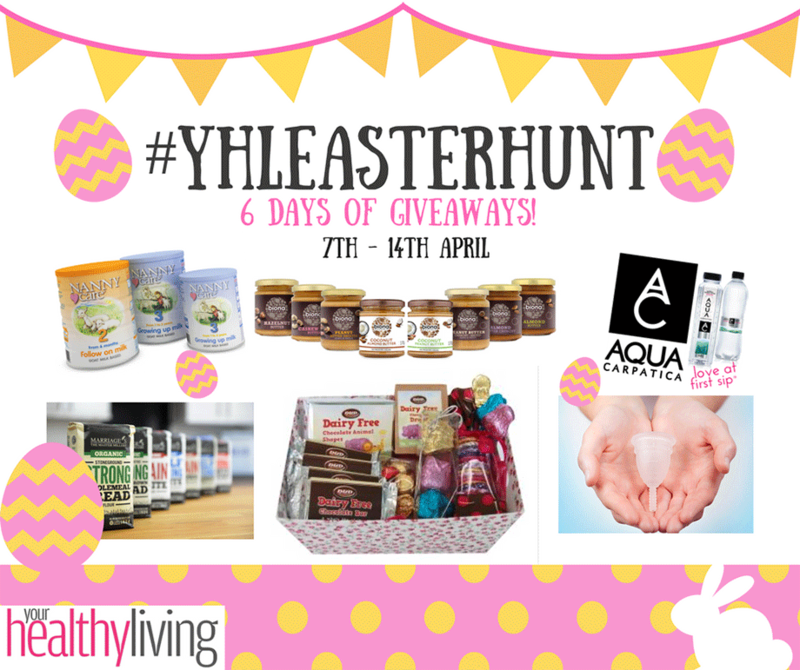 The #YHLEasterHunt giveaways take place every weekday from 7th to 14th April 2017. Each contestant must like the YourHealthyLivingMagazine Facebook page and the relevant competition partners' Facebook page as well as commenting on one of our original posts about the competition in order to enter. See our Facebook page for full details and to find out more about the prizes. Full Your Healthy Living Social Media Competition terms and conditions can be found here. Note: Not all prizes can be guaranteed to be delivered before Easter.